Dr. Weeks’ Comment: “Cell phone use increases women’s risk of two types of brain cancer”. Really now…. Are you surprised? Acoustic neuroma is a rare, non-malignant tumor that develops on the main nerve leading from the inner ear to the brain. The pituitary gland is an organ that produces hormones which regulate important functions of the body and is located in the middle of the base of the brain. Women who used cell phones for ten or more years were two-and- a-half times more likely to develop an acoustic neuroma. Their risk of acoustic neuroma increased with the number of years they used cell phones. The risk of cancer of the pituitary gland more was more than twice as high among women who used a cell phone for less than five years as compared to never users. Although the risk was elevated for women who used a cell phone for ten or more years (about 60% greater than never users), this effect was not significant. Since this may be the first study to find an association between cell phone use and pituitary cancer, further research on this cancer is necessary. The women reported their cell phone use in 2005 to 2009 and again in 2009 and were followed through 2011 to see whether they developed tumors. The analyses controlled for other factors associated with tumor risk. The study had numerous weaknesses which may explain why the research failed to replicate the increased risk of glioma associated with cell phone use of ten or more years found in several previous studies. Although this was a prospective study, the assessment of cell phone use was poor. Cell phone use was measured only at two time points and in a crude manner. 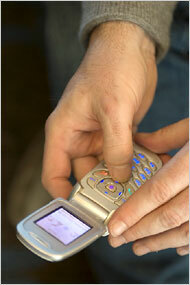 The authors considered anyone who used a cell phone at least a minute per week to be a cell phone user. Although the authors measured the amount of cell phone use per week at follow-up, they did not report these results.The study did not assess cordless phone use or other microwave radiation exposures that are similar to cell phone emissions. If the never-cell phone users were cordless phone users, the effect of cell phone use on brain tumor risk would have been underestimated. Since brain tumors can take decades to develop, the study underestimates the long term risk due to cell phone use as the average follow-up period for cell phone users was only seven years. Few women (about 8%) in this study used cell phones for ten or more years. Moreover, the women in this study may have used their cell phones much less than women do today. 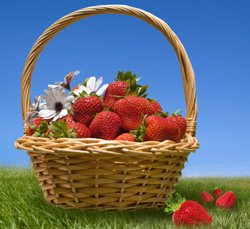 The study was published online in the International Journal of Epidemiology on May 8, 2013. The authors are affiliated with the University of Oxford and the World Health Organization’s International Agency for Research on Cancer. a look at a new paper from the U.K.
auditory nerve, following long-term use of a cell phone. better than previous retrospective studies. The controversy continues, with no end in sight. 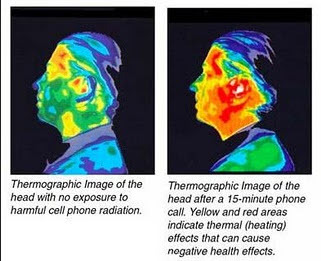 Does your cell phone heat up your head? A teaching moment… Amen, Brother!